What are the most difficult carpet stains to clean? When deciding to use carpet as your flooring option there are many things you must know. Carpet is the cheapest form of flooring for the most part but will need an occasional carpet cleaning. There are many things that will stain and ruin your carpet if it is not cleaned properly. One of many difficult to clean carpet stains would have to be red wine. You can go about trying to clean this one up on your own but you probably will not be very successful. Another hard to clean stain is grass. When your lovely children come in from soccer practice your carpet is guaranteed to get wrecked if they forget to take off their soccer cleats. Grape juice is another scary substance when it comes to carpeting. You will try all day to remove this and it will still be slightly visible. These are just a few out of many substances that can and will easily stain your carpet. When your carpet gets all stained up, it doesn’t look very attractive to company. There are many things you can do to prevent this. Hiring a carpet cleaner is one of the best options you can go with. 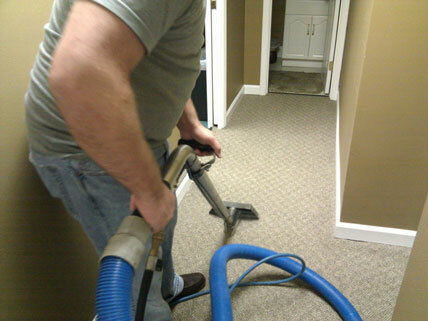 Professional carpet cleaners are trained and certified to do what they do. They know how to get almost every kind of stain out with that special carpet cleaning product. When getting your carpet cleaned by a trained carpet cleaner it will save you hundreds of dollars over having to replace your carpet. If you leave your carpet stained and unattended the only option you will have left is to replace your carpet. Carpet cleaners also have professional grade carpet cleaning machines. You can purchase basic carpet cleaning machines but they do not get up a forth of what a commercial grade machine does. These are just a few reasons out of many that you should get a hold of your local carpet cleaner for any unwanted stains. It is almost impossible to keep your carpet completely stain free. Since it is almost impossible we will need to frequently hire a trained carpet cleaner. This will save you tons of money over having to completely replace your carpet. Keep in mind how beneficial hiring a carpet cleaner is next time you get a horrible stain on your carpet!